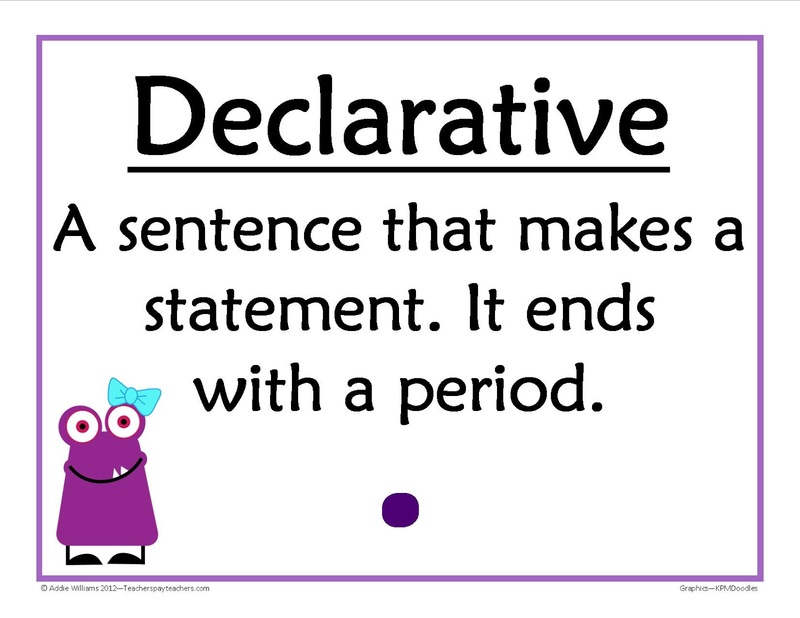 Here's a fun set of friendly monster themed posters to help your students remember the different types of sentences. 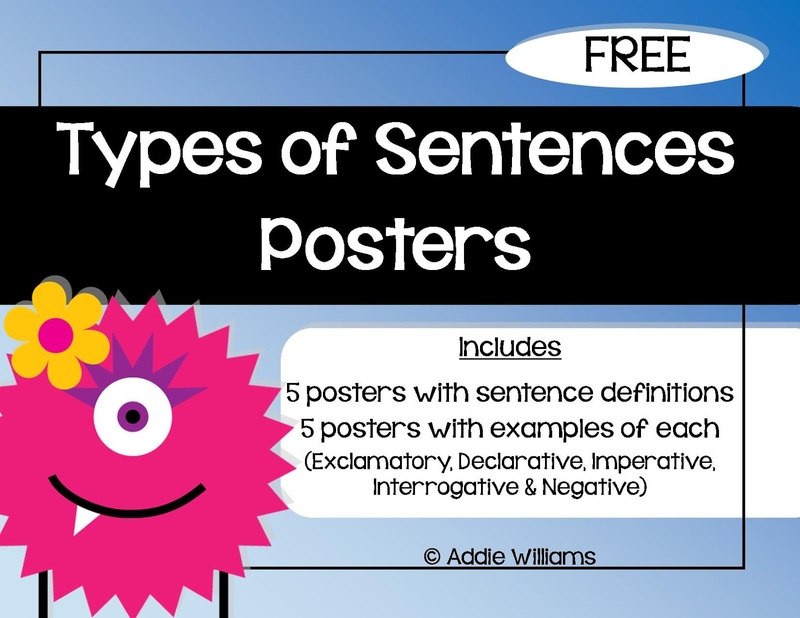 Includes 10 posters - 5 posters with the types of sentences and 5 posters with examples of each. Download a free copy by clicking the image below.